Striga lutea Lour. ; Striga coccinea Benth. ; Buchnera asiatiacaL. Widely naturalised in Africa and Asia (to which it may be indigenous). it has also been recorded in Papua New Guinea and in a few locations in the USA. Considered to be invasive in farmland (although native) in Kenya, Uganda and Tanzania, Striga asiatica is a common, conspicuous plant found in grasslands from the coast up to the uplands at 0-2480 m altitude. It is particularly common in maize growing regions. This plant is common in grasslands from coast to uplands. 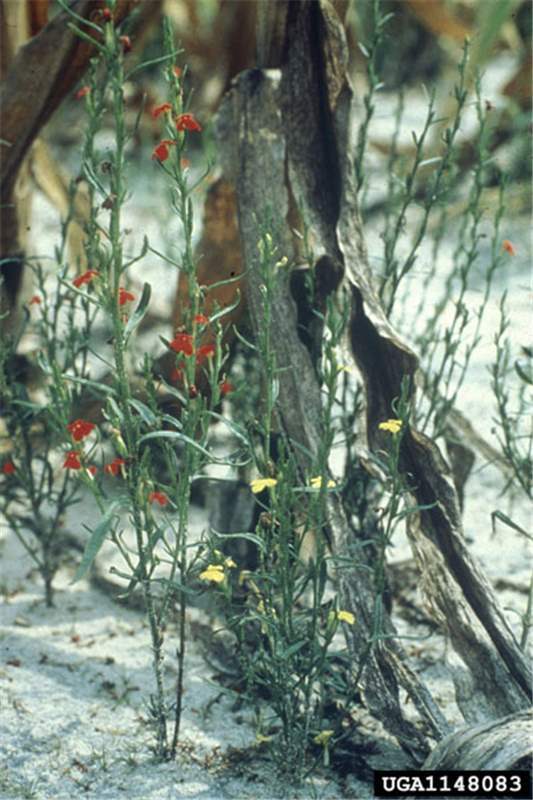 Striga asiatica is an obligate parasite (it cannot develop independently from a suitable host). Plants are normally 15.2-30.5 cm tall but some have be recorded to grow 61 cm. The stems are hairy, green, to 30 cm tall. Leaves are linear or filamentous and around to 2.5 cm long. Flowers are small, less than 1.3 cm in diameter, occurring in or on loose spikes, and can vary greatly in colour including white to yellow, red, or purple. The flowers give way to swollen seed pods that contain thousands of microscopic seeds per pod. This plant reproduces by seed. The small seeds are wind dispersed, can be moved with runoff following heavy rains, on the feet of man and livestock, on farm implements and in animal faeces following their ingestion of the seed. The plant can be used for treating intestinal parasites. However, this use cannot compensate for this plant's overall negative impacts. Striga asiatica can parasitise important agricultural crops such as corn, sorghum, sugar cane and rice. 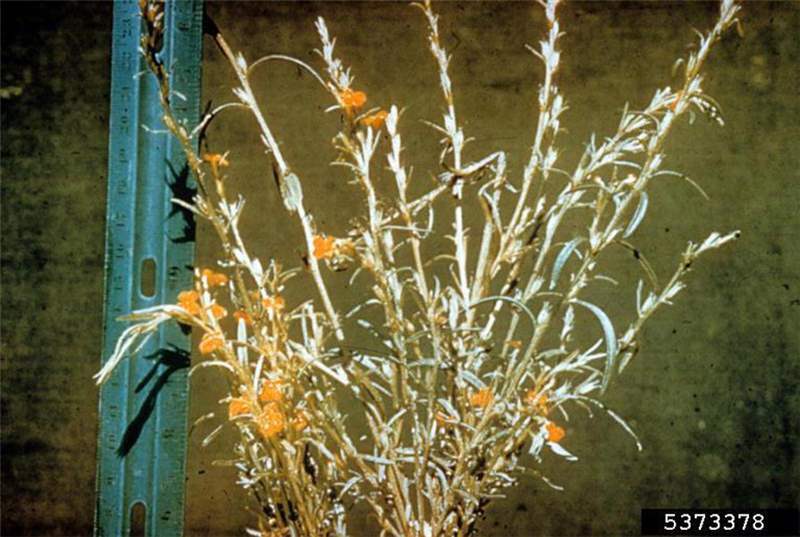 The host plant's nutrients are depleted and energy is spent supporting the parasitic witchweed. 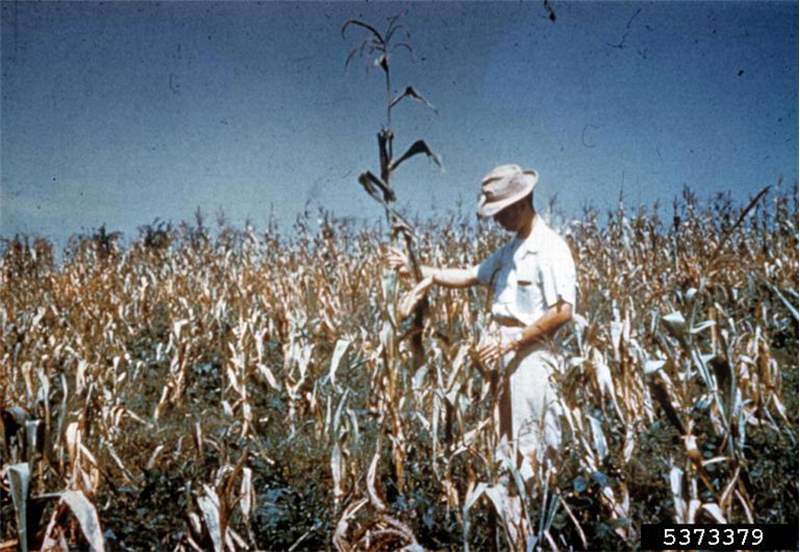 Infestations of witch weed reduce yields and contaminate crops. 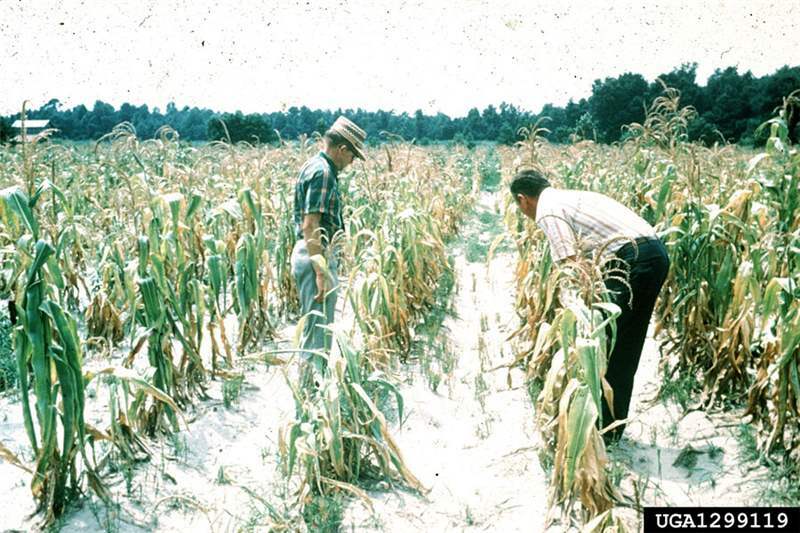 Damage is particularly severe under conditions of low rainfall and poor soil fertility. S. asiatica is not known to have major impact on natural vegetation. S. asiatica has been included in the Global Invasive Species Database (GISD 2006). It has been listed as a noxious weed in several Australian states. Hand-pulling is commonly used as a control method but can often be ineffective especially if the crop has set seed. It is vital to ensure that Striga asiatica is not allowed to set seed because of the large numbers of seed produced and their persistence in the soil. More effective are integrated approaches with hand-pulling only used in combination with other methods such as crop rotation, growing less susceptible varieties, irrigation, manuring or otherwise improving soil fertility, intercropping with leafy species, and the planting of trap crops and catch crops. Trap crops stimulate the germination of S. asiatica but do not allow parasitisation. For suitable crops include cotton, cowpea and soybean but it will take several seasons to achieve a significant reduction in the witchweed infestation. 'Catch-crops' are susceptible species which are encourage germination of the weed but are then destroyed before it has time to set seed. Chemical control can be effective but can be problematic due to its cost, the fact that it is most effective after weed emergence and may do little to prevent the damage and increase yield in the short term, and the risk of damage to non-cereal crops. Application before witchweed emergence can be effective but is unreliable. 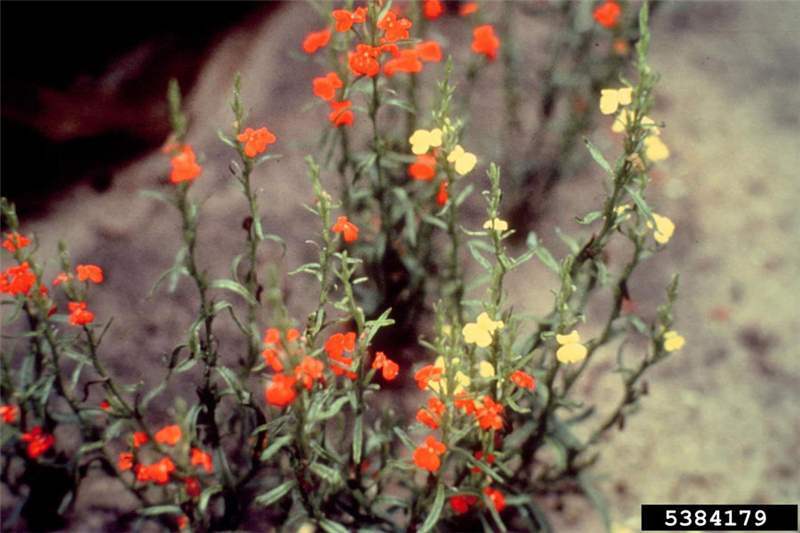 Work has been undertaken to find effective biological control agents against S. asiatica and other Striga species but to date there has been no documented success. CABI Invasive Species Compendium online data sheet. Striga asiatica (witch weed). CABI Publishing 2011. www.cabi.org/ISC. Accessed March 2011. GISD (2006). Global Invasive Species Database online data sheet. Striga asiatica (herb). www.issg.org/database. Accessed March 2011. Pacific Island Ecosystems at Risk (PIER). Striga asiatica (L.) Kuntze, Orobanchaceae: plant threats to Pacific ecosystems. www. www.hear.org/pier/species/striga_asiatica.htm. Institute of Pacific Islands Forestry, Hawaii, USA. Accessed March 2011.